Lift the flaps to discover the numbers underneath! 123 Lift & Learn is a large-format, interactive lap book which encourages little hands to peek, play and learn to count. 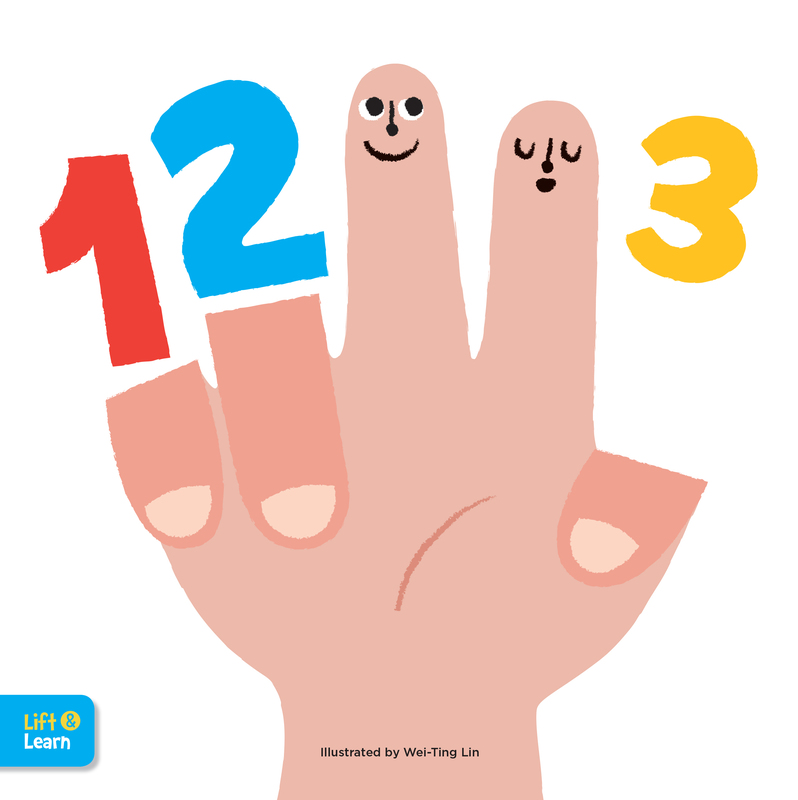 Introduce preschool children to basic concepts like counting with 123 Lift & Learn, a bold, colourful, new lap book. With a large format perfect for sharing and reading aloud, 123 Lift & Learn is a wonderful way to introduce your toddler to numbers and counting! Filled with bold, bright illustrations and engaging paper flaps, this book is made to explore together and discover the numbers hiding underneath each colourful illustration. Kids will be delighted to lift and learn, easy as 1, 2, 3! The Lap Board Concepts series from Walter Foster Jr. is the perfect way to introduce toddlers to the early concepts of reading, writing, and problem solving. With a colourful, contemporary style, this traditional lift-the-flap learning book will help preschool children learn letters, numbers, and colours in an entertaining, exciting new way. Bold, colourful illustrations entice young readers (and listeners!) to flip through the pages again and again, each time with a new understanding of each shape, color, or number. A thoughtful gift for preschoolers that can be kept, handed down, and treasured for many years to come.